It is a blueprint that tells you where you are heading with your income and expenses. Perfect planning will not only help you to meet expenses but to save the portion of it. You need to prioritize what to include and should be excluded. It is one of the toughest parts of your financial planning because here you need to cut out the things which you might love but your income does not allow you to continue. Savings are really important as it not only helpful for your emergency fund but can also be good for your events which you are planning in the future. These types of events usually need huge funds such as marriage, education, holiday planning or could be any other event. Most of us don’t want to live the frugal life as they think it’s all about living below your desires and comfort. But that is not true it never means you need to cut down your desire but to find a better way where you need to pay less or sometime it could be free. There are lots of discount and free items available which company use for promotion all you need to know from where and how to get it. You can try many other different ways to get a better deal. After winning a $500 sweepstakes I have developed a habit of attempting survey & sweepstakes which are related to my routine work. On my last dinning I participated in tellsubway and talktowendys in exchange for that I received a free cookie and a BOGO sandwich. Now I have more than 15 surveys in my list which I am part of it. So, this increases the probability of making some extra money or a free meal. If you have insurance you need to ensure that it covers all your basic requirements otherwise your purpose will not be fulfilled here. Despite carrying insurance coverage, you have to pay your bill which is an additional burden on your budget. You cannot be successful until you do not stick to the budget. It means you are only planning and not executing. Since the plan is made on basis of our income and if you don’t follow that route it would lead you to Over expenses. But it does not mean you will stick to your budget even if there is an emergency requirement that is an exception in this case. Don’t forget to reconcile your income and expenses every month. As it will give you the broader picture of your planning and execution. And not only monthly but you should also do this annually so that you can find out how many times you succeeded and what are the improvement areas are still there. 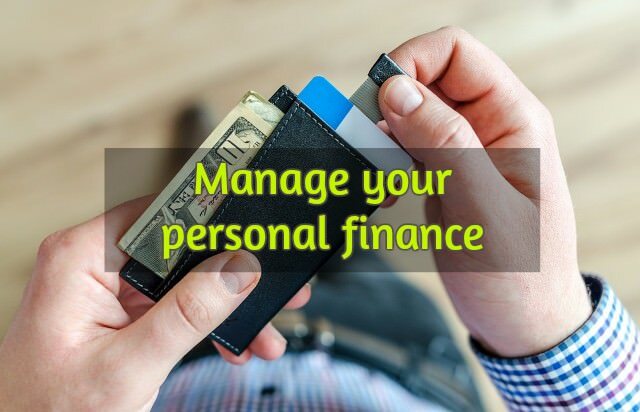 There is a less awareness regarding personal finance and we hardly try to manage it. Which result in either increasing debt or not meeting the expenses. Most of the cases we found people are only in debt because they are not utilizing their fund properly. So, if you make a strong financial plan and try to continue for the next couple of months you will find that things are falling into place. These tips are not to increase the income but to let you know how efficiently you can utilize your fund.